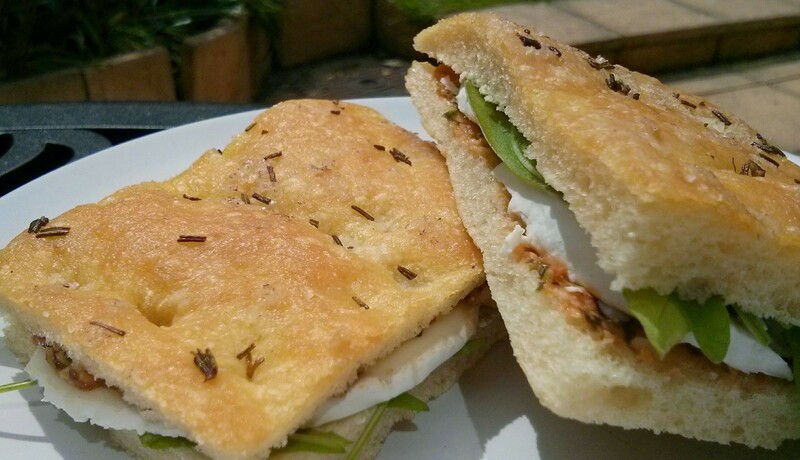 I’ve written about focaccia before but not specifically about cheese focaccia which is something altogether different. 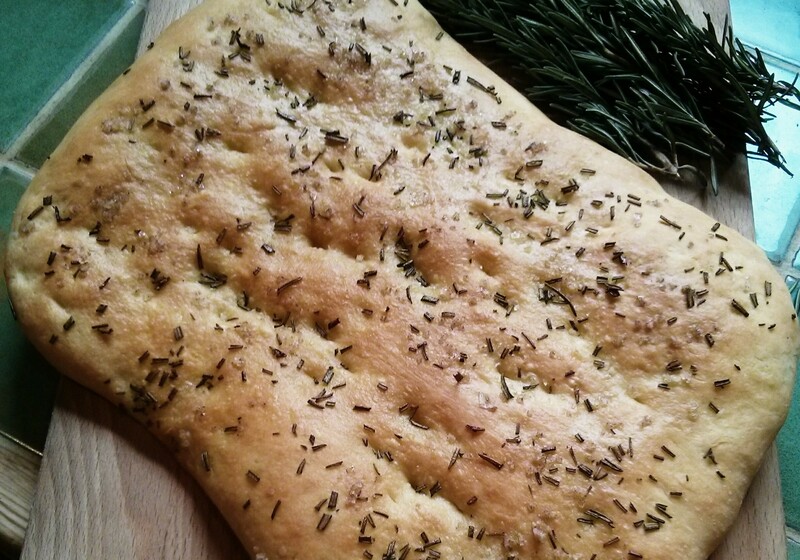 We typically think of focaccia as a thick, dimpled yet fluffy bread, dripping in olive oil and crunchy with salt, sometimes garnished with a diverse range of toppings such as olives, onions and/or rosemary. Cheese focaccia on the other hand is a true flatbread. There is no yeast and the dough is rolled out as thinly as possible into two large discs which are then sandwiched together to hide a mouthwatering cheese filling: a filling so gooey and tasty that is difficult to achieve without using chunks of the tangy, fresh Crescenza cheese, a speciality of Northern Italy, made from cow’s milk. For a while now I’ve been trying to reproduce the wonderful examples of this bread that we tasted in Genoa a year ago but I should point out that Genoa is not the original home of this iconic Ligurian snack. 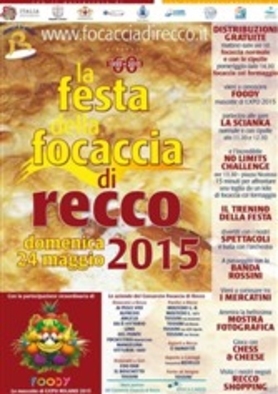 It is Recco, a seaside town further along the coast to the east, and a place where once a year in May the Festa della Focaccia takes place celebrating focaccia in its many different forms. Here in the UK, and in France where I spend some of my time, it is difficult impossible to find Crescenza cheese. 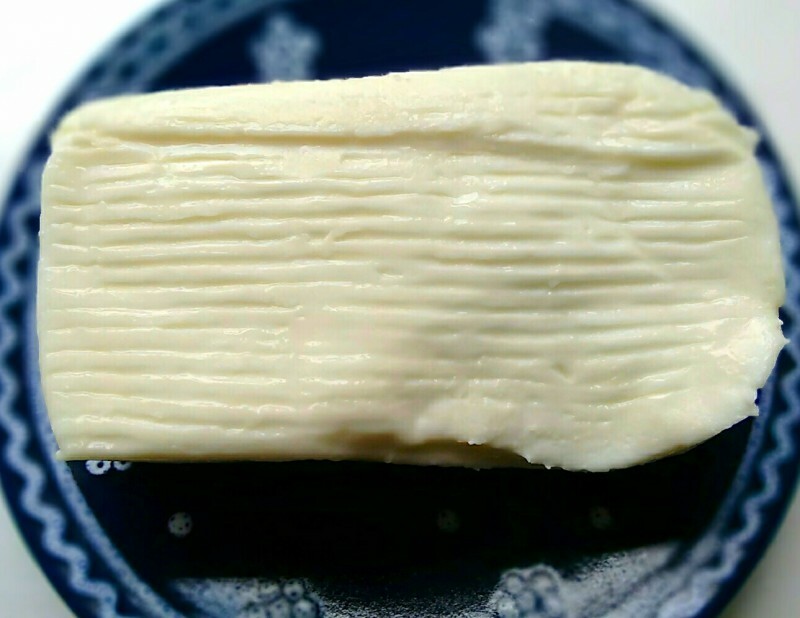 Taleggio or a blend of mozzarella and cheddar make reasonable substitutes, giving the characteristic oozing, melted cheese look and feel to the finished product. But it’s not quite the same. So imagine my delight on a recent visit to Lombardy to find Crescenza cheese readily available in supermarkets! We had driven to Italy with the thought that we might bring back some edible goodies so I was well prepared with a coolbox to transport this delicacy back to my kitchen in France, and it was well worth it. Heat the oven to 230°C. Mix all the ingredients together, except for the cheese, and knead the dough to bring it together. 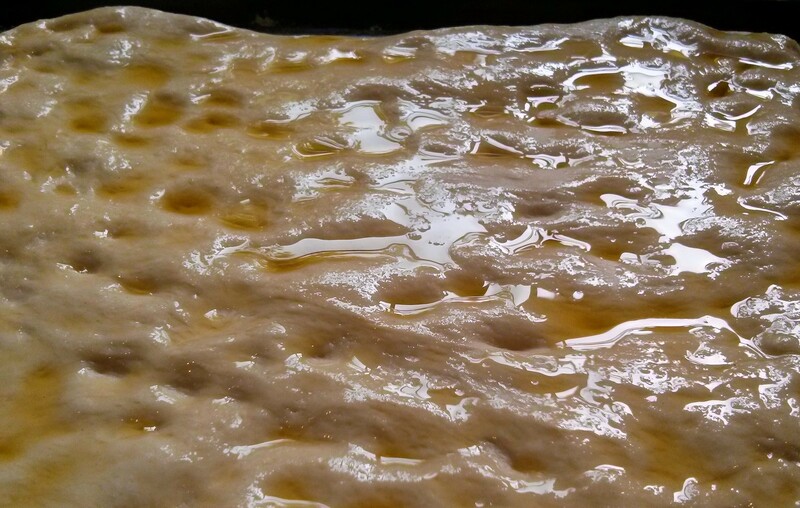 Leave the dough to rest for 20 minutes. Split the dough into two pieces and roll each piece out as thinly as you can to fit the size of a round pizza base. Place one half of the dough onto a round pizza baking tray, dot the cheese around it and then top it with the second piece of dough. Crimp the edges to seal and drizzle with olive oil. Bake in the hot oven for 15 minutes, but keep checking it as you cook as oven temperatures/flour types vary so much. When browned and bubbling, take out of the oven, cut into slices and eat immediately. Focaccia is made all over Italy nowadays, and well beyond its borders too, but in Liguria “fugassa” as it is known in the local dialect (figassa in Genoese) is widely available and enjoyed as a snack, often with a coffee mid-morning. 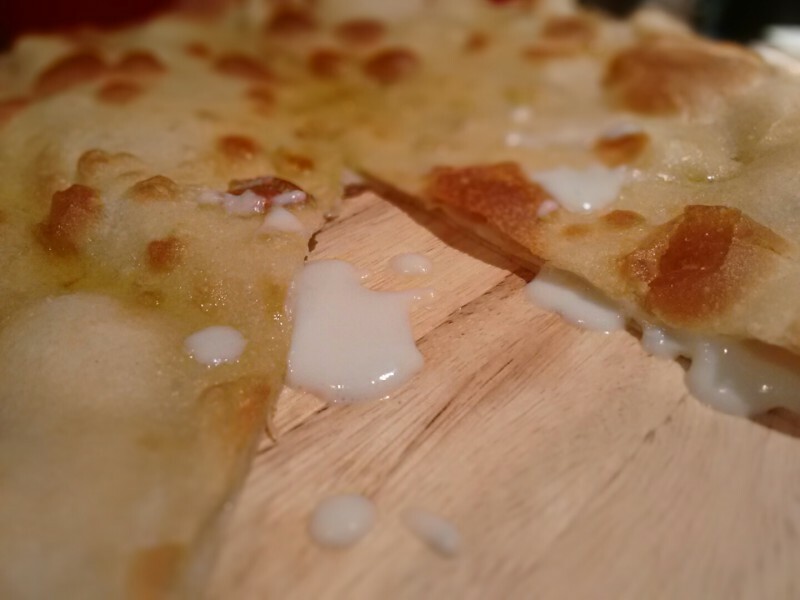 A thick, flatbread that is liberally dosed and doused with olive oil, it is most commonly served with an onion topping, thus resembling the French pissaladière. Elizabeth David, writing in her book Italian Food, refers to focaccia as the ‘Genoese pizza’ but normally focaccia recipes include more yeast than for pizza, making the cooked dough thicker. 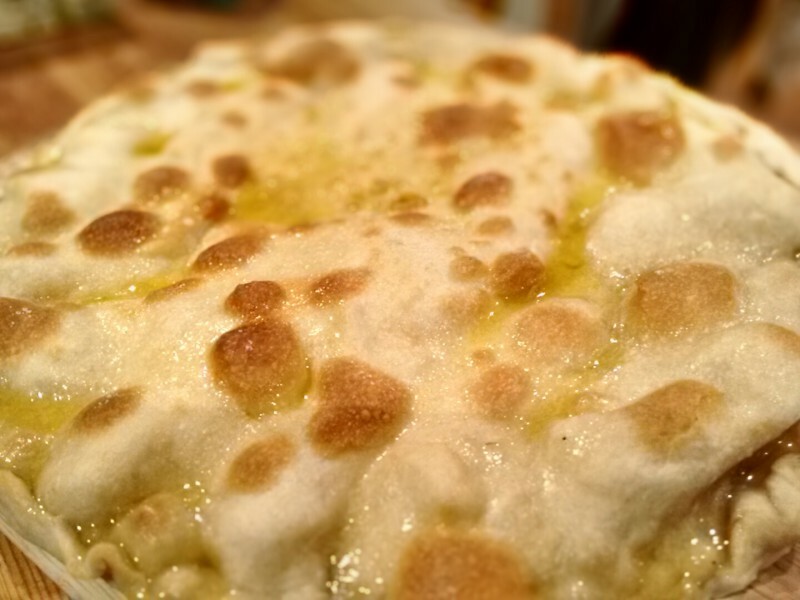 In the seaside town of Recco, the delicious focaccia col formaggio (cheese focaccia) is made by sandwiching dollops of the local soft, melting cheese, Crescenza, between two sheets of dough and baking until the top is golden brown. 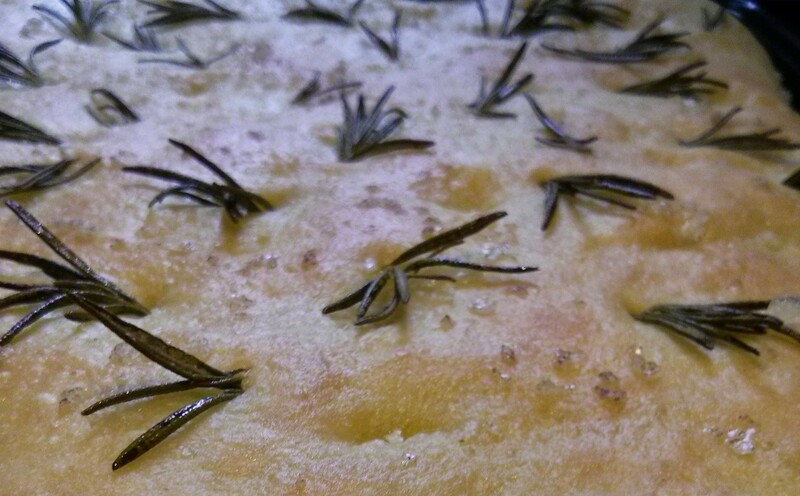 Another popular version of the bread, focaccia col rosmarino, originally thought to have been created to attract the tourists, is studded with rosemary or other herbs, sprinkled with coarse sea salt and simply oozes with olive oil. You’ll find the recipe for this last focaccia below and I can promise you it’s a real crowd-pleaser and will have everyone eating more than they really ought to so here’s a useful tip: make plenty. I like to serve the rosemary focaccia warm with a selection of charcuterie, artichokes in olive oil and a salad of ripe tomatoes. Or perhaps a ball of gooey Burrata cheese. If there is any left the next day (a rare sight in my house), try toasting it and serving simply with unsalted butter or a slug of olive oil and some chopped tomatoes. Given the thickness of the bread, it’s great for sandwiches – just slice it in two and fill with tapenade or pesto, sliced tomatoes and goat’s cheese. Mix the flour, yeast and salt then add the olive oil and water. Knead the mixture on a floured board for up to ten minutes by which time the dough should be smooth and elastic. You can also use a food processor with a dough hook for this. If the dough is very sticky, add a little more flour. Form the dough into a ball and leave in an oiled bowl, covered with plastic film, for an hour until it has at least doubled in size. Heat your oven to 220°C and oil two 12cm x 30cm baking trays. Take the dough from the bowl, cut into two pieces and mould both pieces into oval shapes to fit the baking trays. Use your knuckles or fingertips to make slight indentations all over the dough. Brush it with extra virgin olive oil and stud it with rosemary leaves (you can chop them finely first if you prefer), and press them into the dough. Sprinkle with the coarse sea salt and drizzle with more olive oil. Leave the dough to rise in a warm place for half an hour then bake in the middle of the preheated oven for 10-15 minutes or until golden brown – keep an eye on it as it can turn brown suddenly and will easily overcook and become too hard. Take the bread from the oven and place on a wire rack for a few minutes. Drizzle with more olive oil and serve.